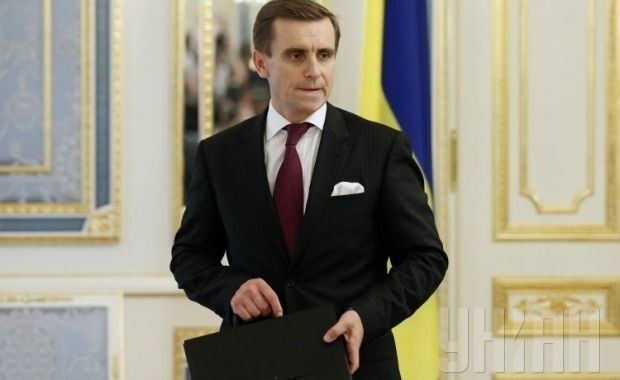 Ukraine has held consultations with the German side today to determine what measures should be taken to prevent militants from holding elections, said Deputy Head of the Presidential Administration Kostiantyn Yeliseyev at a briefing today, an UNIAN correspondent reported. "We hope that these messages and signals will finally reach the corresponding capital [Moscow], and these "elections" will be canceled, otherwise they will have unpredictable and negative implications for the entire process," Yeliseyev said. Yeliseyev noted that the elections in militant-occupied regions of Donetsk and Luhansk regions must be held in accordance with the Ukrainian legislation and in full compliance with the standards of the OSCE Office for Democratic Institutions and Human Rights. At this, he added "we are in an active dialogue with our partners regarding the development of a whole range of actions and measures in case of a negative scenario: the [pseudo-]elections are held [by militants]." Read alsoMilitants venture to gain control over whole Donbas with local elections – sourceHowever, Yeliseyev stressed that Ukraine still hopes the elections in Donbas will be canceled. In July, President of Ukraine Petro Poroshenko stated that plans of representatives of the self-proclaimed Donetsk and Luhansk People’s Republics to hold elections on October 18 could have devastating consequences for de-escalation of the situation in Donbas. As UNIAN reported earlier, the Central Election Commission of Ukraine took a decision that the local elections scheduled for October 25 this year would not be held in the occupied territories of 125 settlements in Donetsk region and 146 settlements in Luhansk region.